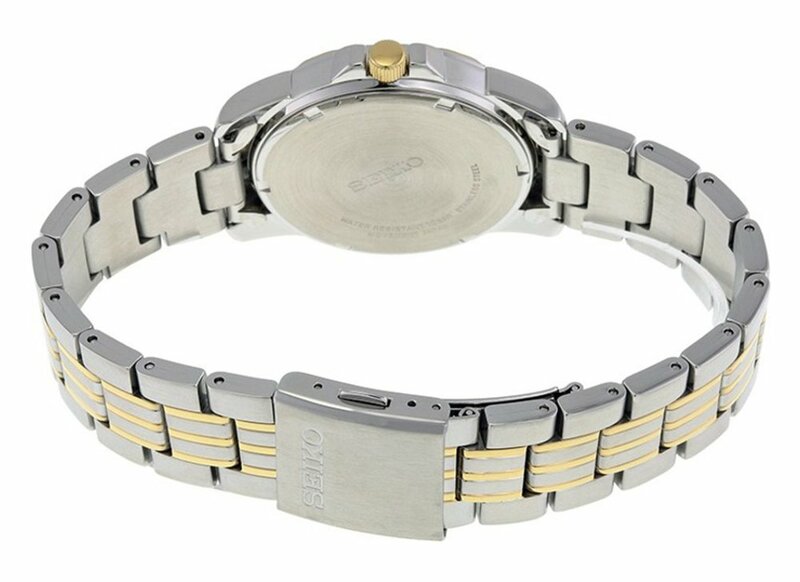 Two tone stainless steel case includes a brushed and polished link bracelet. 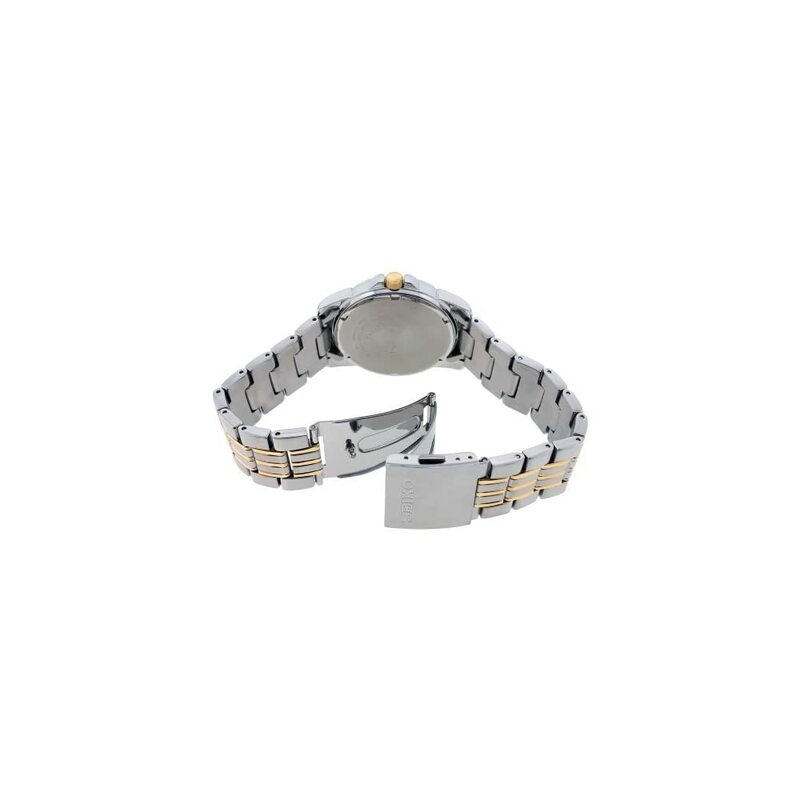 Band is brought together with a convenient push button deployment clasp. 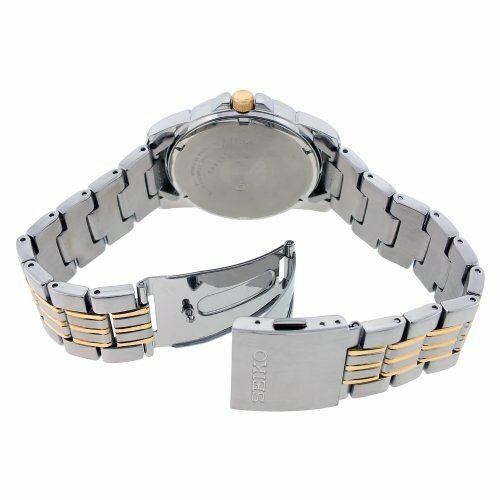 Simple gray dial with gold tone luminous hands and hour markers. 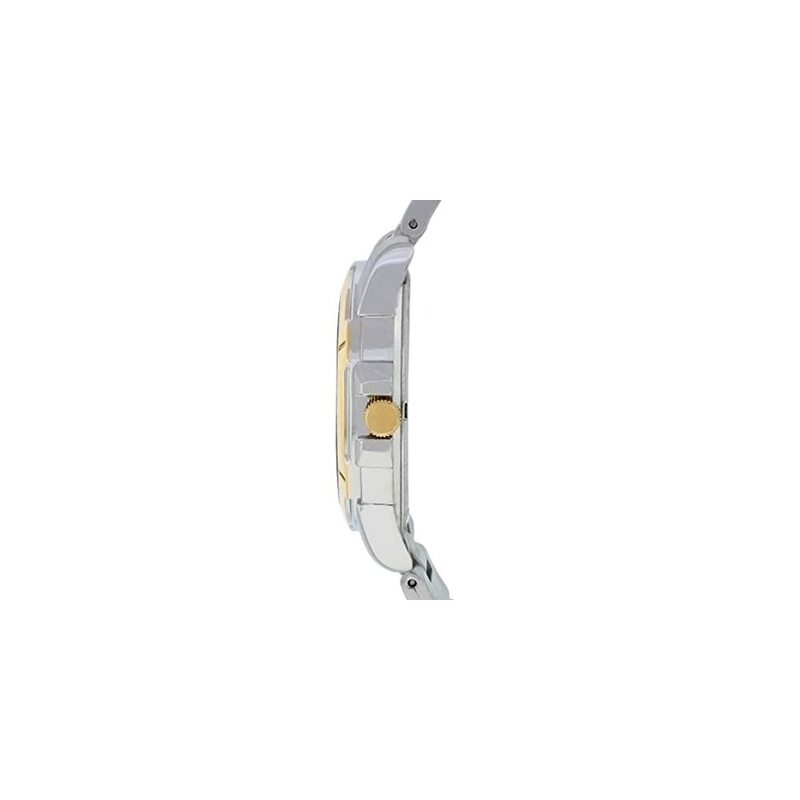 The scratch resistant Hardlex crystal protects the water resistant (100m) case. Unique solar powered Quartz movement collecting any available light to store power. 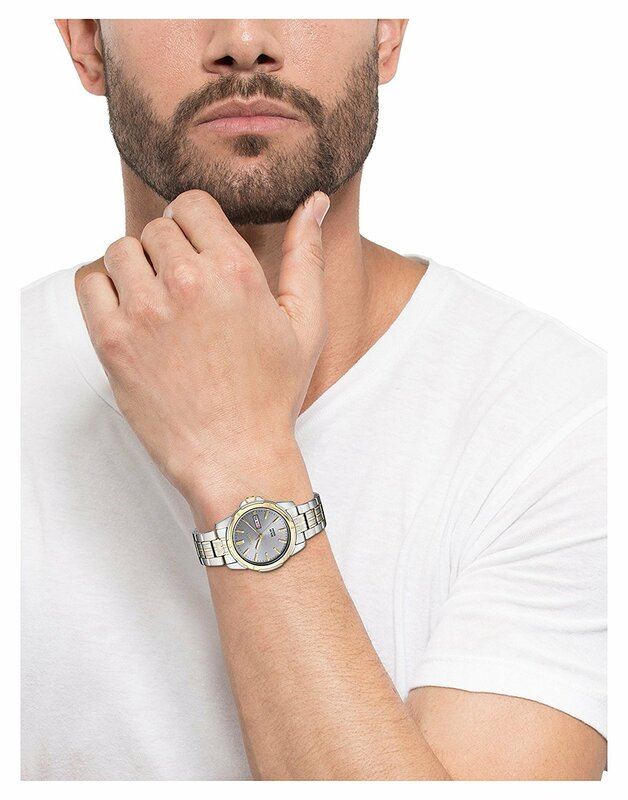 From the master craftsmen at Seiko, the Seiko Men’s SNE098 Two Tone Stainless Steel Analog with Grey Dial Watch is a cutting-edge timepiece with a masculine appeal. Featuring a black analog dial and a two-tone stainless steel band, this watch is packed with style and would be a great addition to your watch collection. 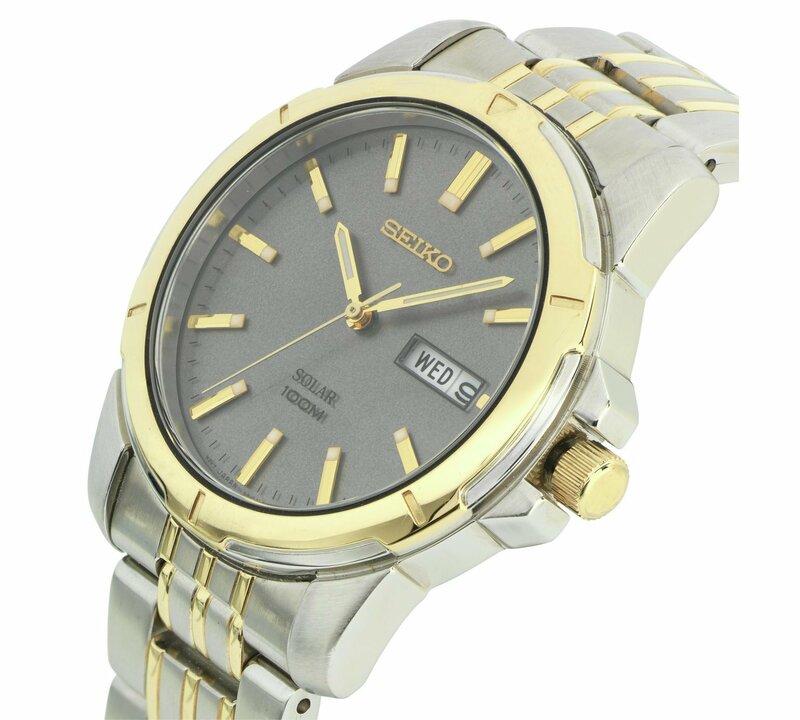 Great value for a seiko watch, going to get one for my husband , they look gorgeous and classy. 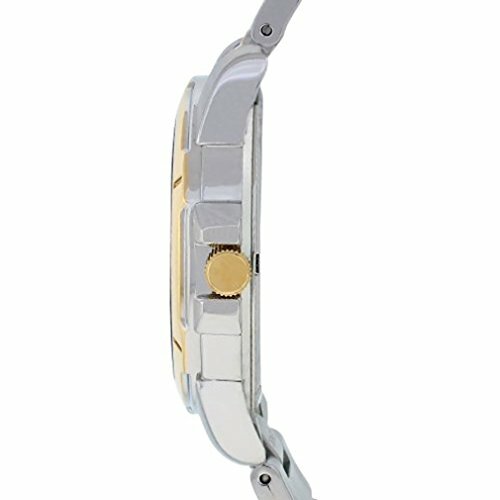 The price appears to be in the average range, it is a quality brand and a solid watch. I would shop around before purchasing, but this is the type of watch I would be happy to own and wear on a daily basis. I cannot vouch for the sellers. Needed one ,cool price bought an extra,durable too.